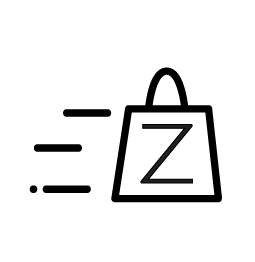 Maybank EzyPay 0% instalment when you purchase on ZALORA! What is Maybank EzyPay Instalment? Maybank Credit Card holders can now enjoy 0% interest with Maybank EzyPay instalment plan when they purchase on ZALORA. Maybank EzyPay is available in 3 months, 6 months and 12 months payment plans depending on the final paid price. A Maybank Credit Card holder is only eligible for Maybank Ezypay if her total paid price (Remaining balance after all other discounts and promotions including store credit) is a minimun of RM200. 3 months instalment plan for minimum paid price of RM 200 and above. 6 months instalment plan for minimum paid price of RM 300 and above. 12 months instalment plan for minimum paid price of RM 500 and above. Maybank EzyPay offers 0% interest! Enjoy worry free shopping with us! No. You will have to choose the option in the checkout page in order to enjoy 0% interest with Maybank EzyPay. Upon approval of the application, the full amount will be blocked in your card. Maybank will debit your card with the instalment, payable on a monthly basis for the duration which you have chosen. Why is Maybank EzyPay not available on checkout? I have a Maybank Card, but why can’t I select Maybank EzyPay? Only Visa, Master & Amex(credit card) are applicable for Maybank EzyPay. Amex Charge Card is not applicable for this feature. The items I bought are above RM200 but the option is not available. You will only be eligible for Maybank EzyPay if the total price (after all other discounts and promotions including store credit) is above RM 200. What is the difference between using my normal Maybank Credit Card and using Maybank EzyPay? If you opt to charge your credit card as per the normal way, the standard interest rate will be applied. In the long run, you end up paying more. Save more on your purchases by choosing Maybank EzyPay 0% Instalment! Can I return my order if I choose to pay using Maybank EzyPay? Yes, you may - provided the item you purchased is returnable / exchangeable and adheres to the return policy. To view the list of non-returnable / non-exchangable item, click here. You will be refunded strictly via Credit Card Reversal. Other refund methods will not be eligible for this payment method. Alternatively, you can also contact Maybank Group Customer Care at 1300 88 6688 or +603 7844 3696 if you have questions regarding the Instalment plan and Maybank Credit Cards.